Save BIG when you buy our four pack combos! Not only do you get four drops for less than when purchased separately but you also save even more on combined shipping! Order just as shown or mix and match any four designs you like! If you wish to order differently than what is shown in this listing, simply write which four designs you want instead in the order comments section at checkout. The designs shown in this listing are Items 0605, 1109, 1547 & 1754. Got exactly what I ordered. The quality is really good. I will be ordering again, thanks. 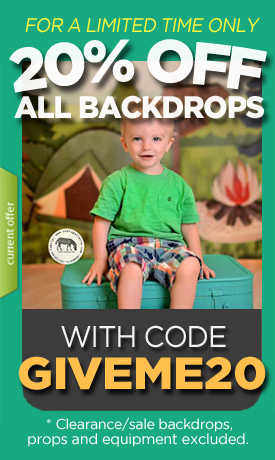 Great quality backdrops! The only reason I didn't give 5 stars is because one of my backdrops had some small tears on the edge due to a packaging issue. The shop overnighted my next order and no extra charge to make up for it. I will definitely be using them more in the future! Arrived well packaged, speedy delivery and a quality product. Thanks! These backdrops are exactly what I wanted for my still life photography. I couldn't be happier! And they were delivered on time.